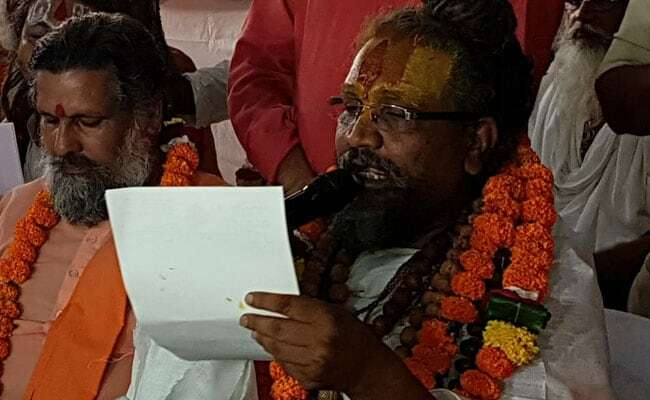 Religious leader Computer Baba, who was recently expelled from the Digambar Ani Akhada, said he is mulling to set up a new “akhada“, or sect, when the Kumbh Mela takes places in Allahabad in Uttar Pradesh. Computer Baba, a friend-turned-critic of the Shivraj Singh Chouhan government in Madhya Pradesh, alleged the Akhil Bharatiya Akhada Parishad (ABAP) is working at the behest of the BJP. Computer Baba told news agency PTI that he was expelled from the Digambar Ani Akhara on an “improper order” of the Akhada Parishad. “I was expelled at a time when I was running a campaign to save Narmada river. The Akhada Parishad is working at the behest of BJP,” Computer Baba said. The Akhada Parishad is the top organisation of Hindu seers and sadhus. “Saints like Uma Bharti became Chief Minister of Madhya Pradesh and then a Union Minister. Mahant of Gorakhnath Math Yogi Adityanath became Chief Minister of Uttar Pradesh. But, Akhada Parishad doesn’t like me because I speak openly against the BJP,” he said. Computer Baba said he will mobilise saints and seers of India from December 22 to 30 in Allahabad and discuss the prospects of forming a new sect. Meanwhile, Mahant Narendra Giri, president of the ABAP, rubbished Computer Baba’s allegations and said his organisation has no affiliation with any political party. In November, Computer Baba, whose original name is Namdeo Das Tyagi, was expelled by the ABAP from the Digambar Ani Akhada, a prominent denomination of the Vaishnava sect, for jumping into the political arena. Computer Baba was accorded the minister of state status by the Madhya Pradesh government in April this year and was appointed to a committee for the protection of Narmada river.